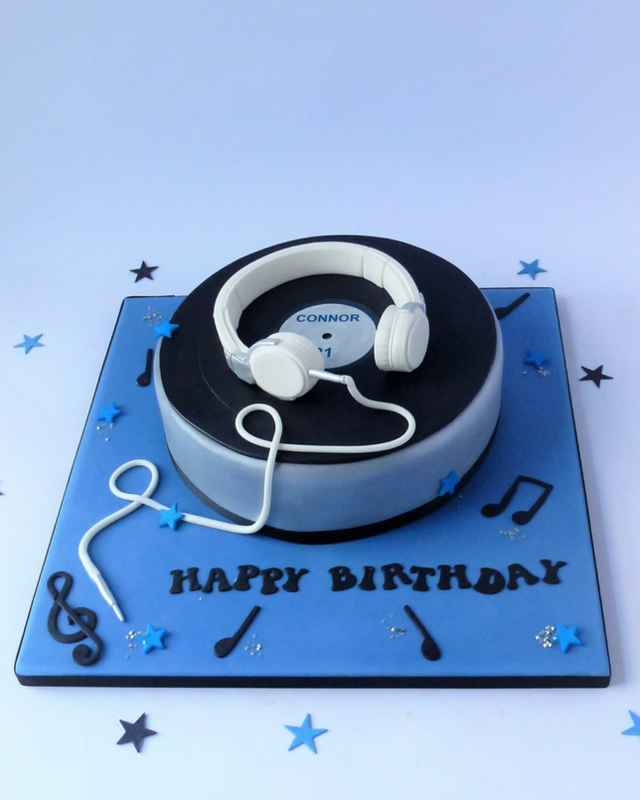 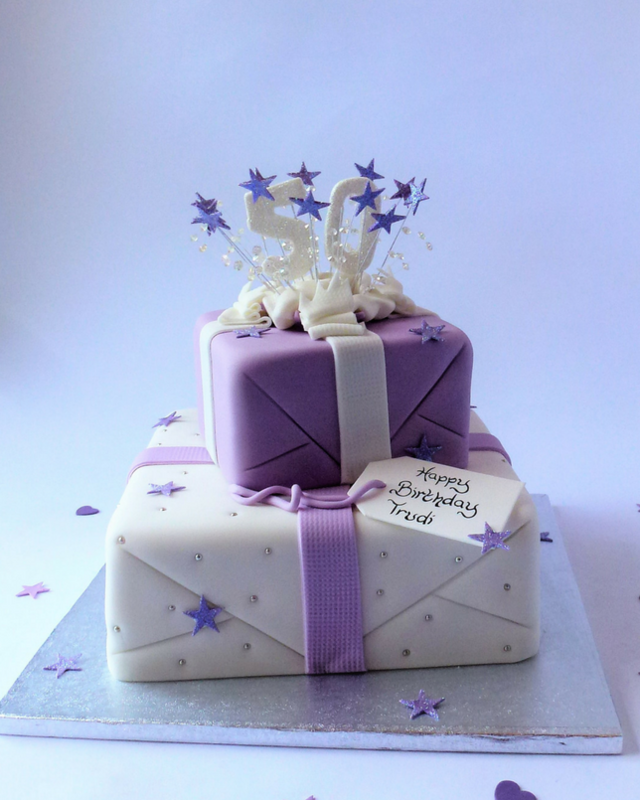 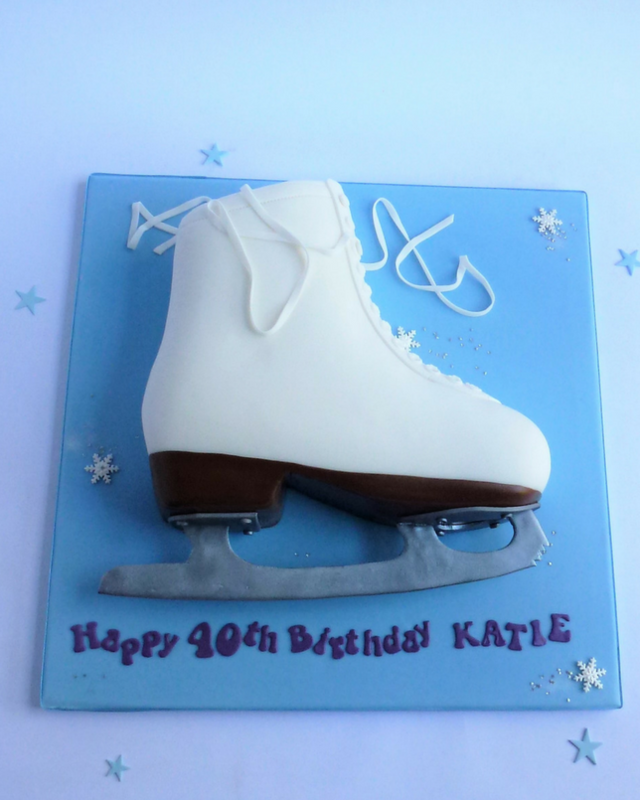 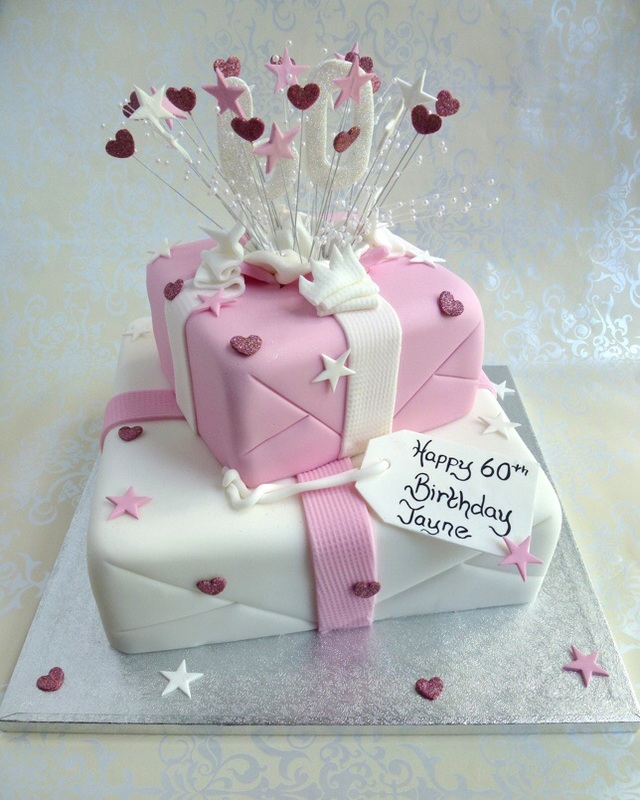 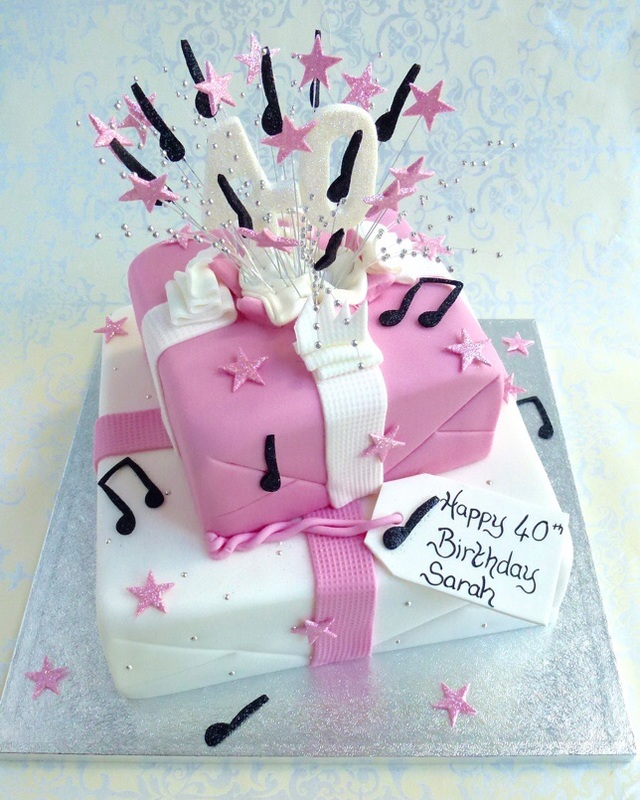 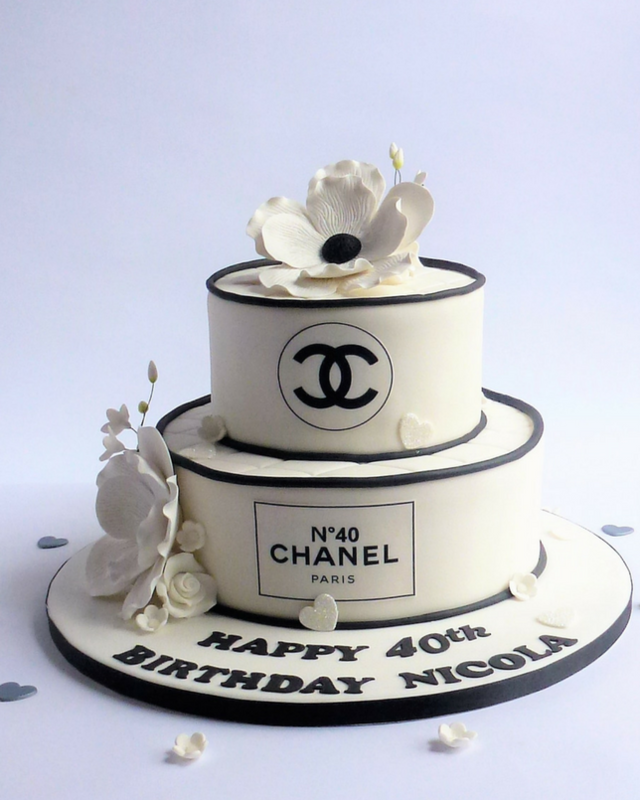 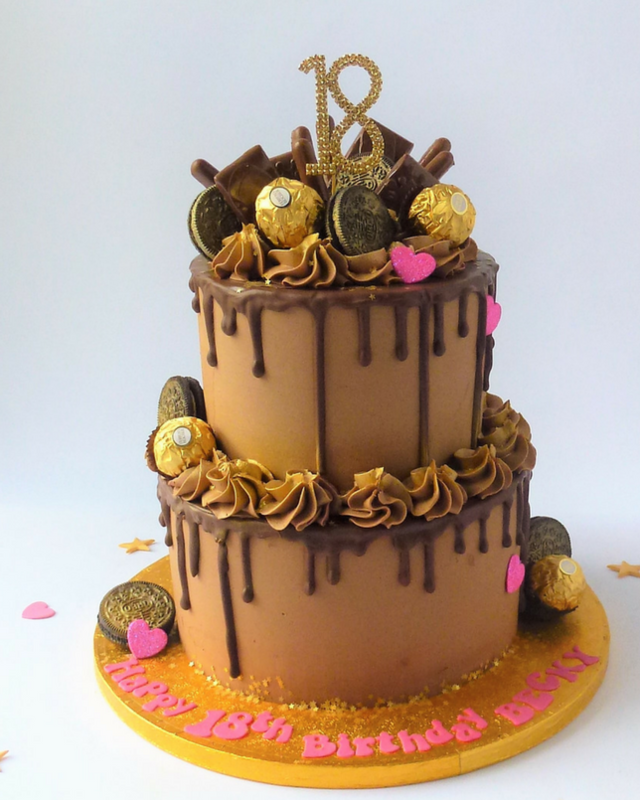 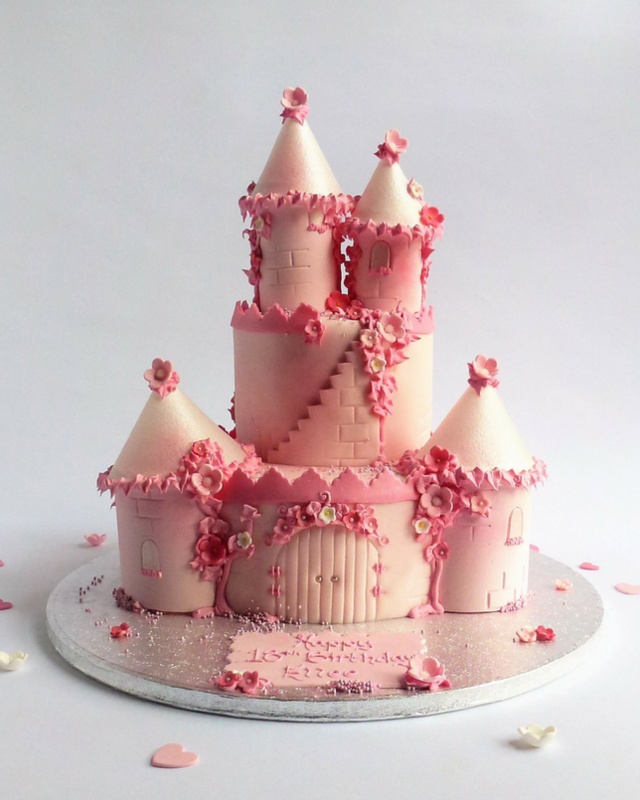 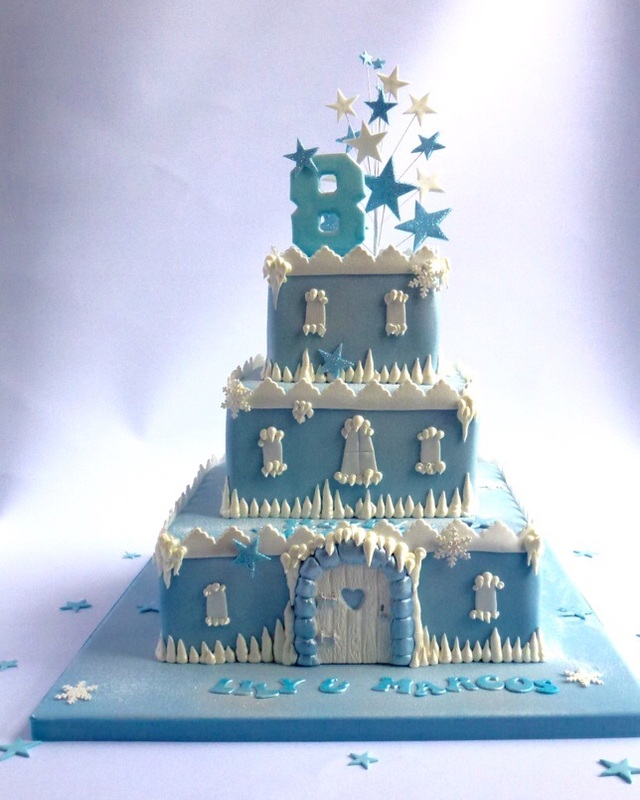 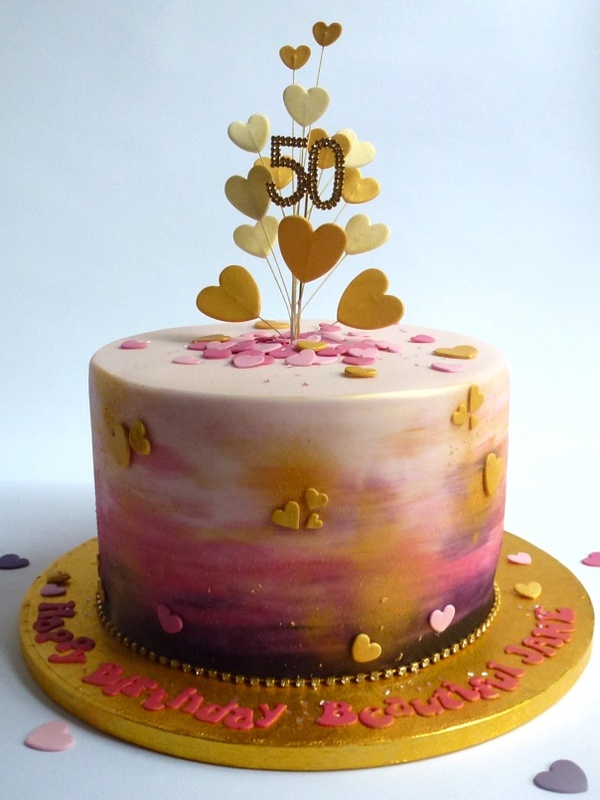 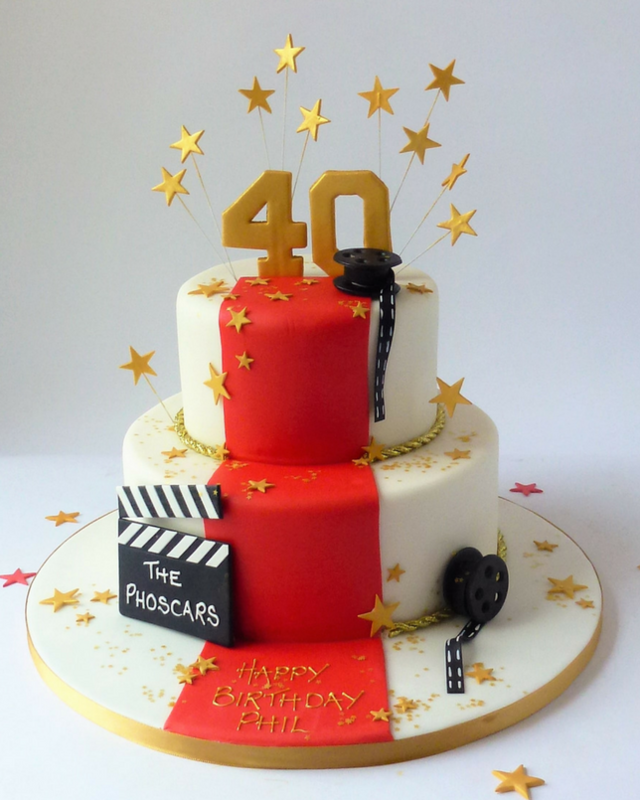 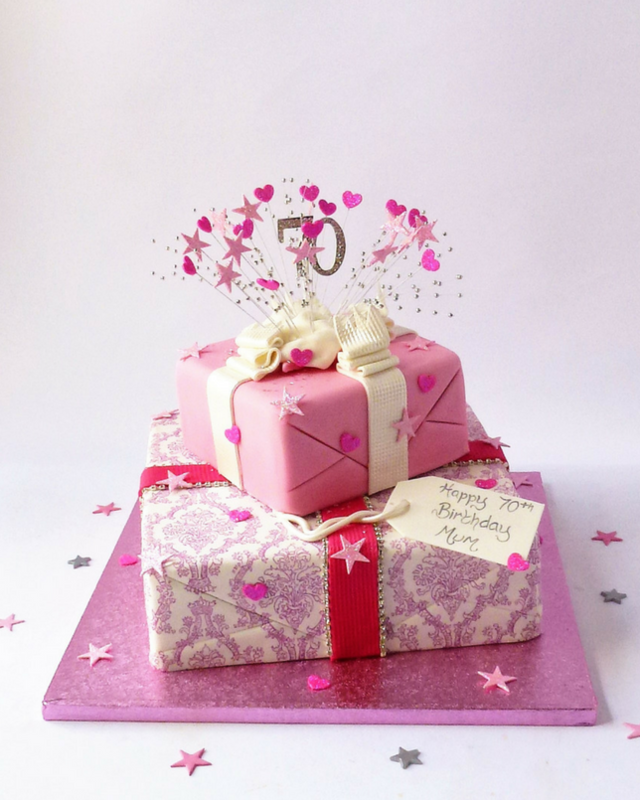 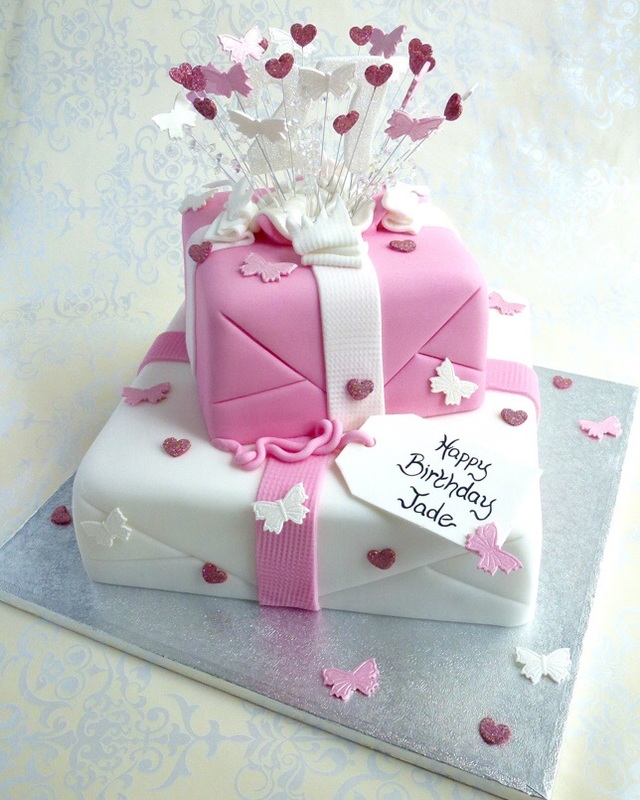 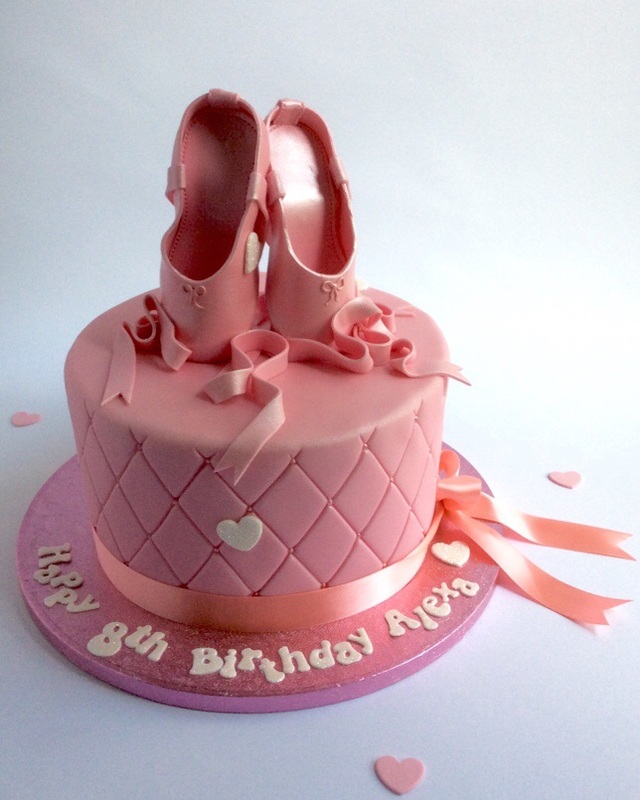 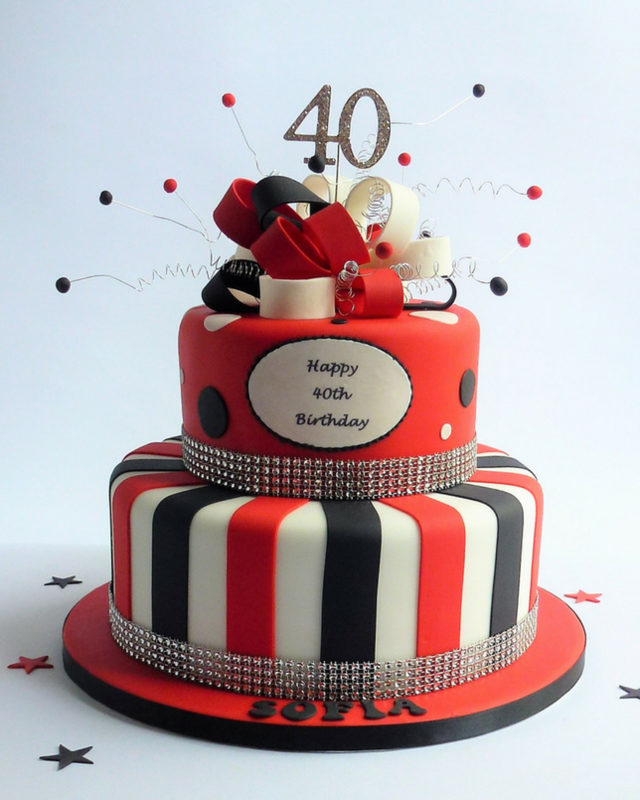 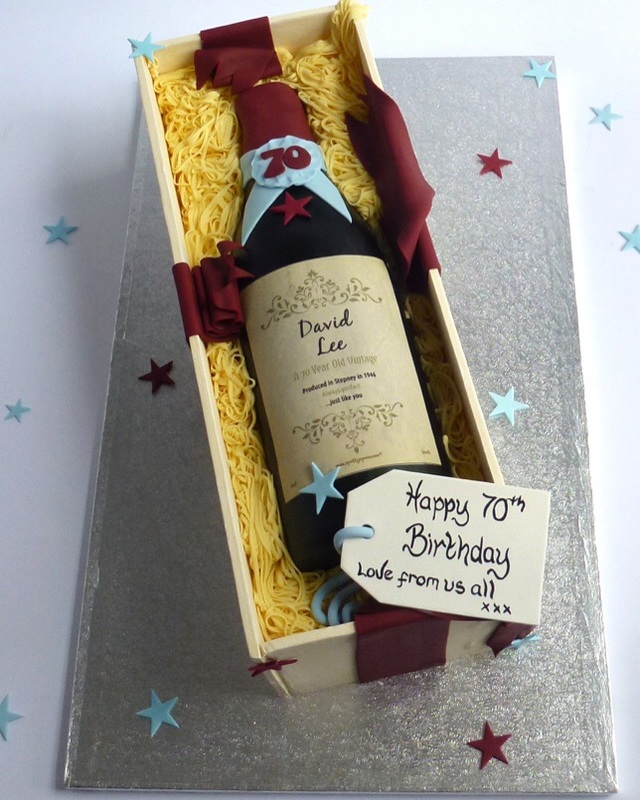 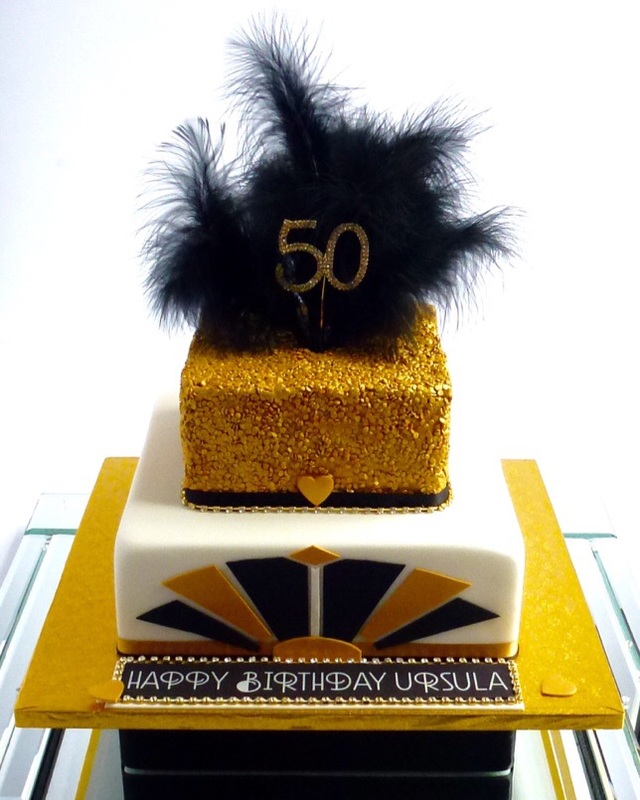 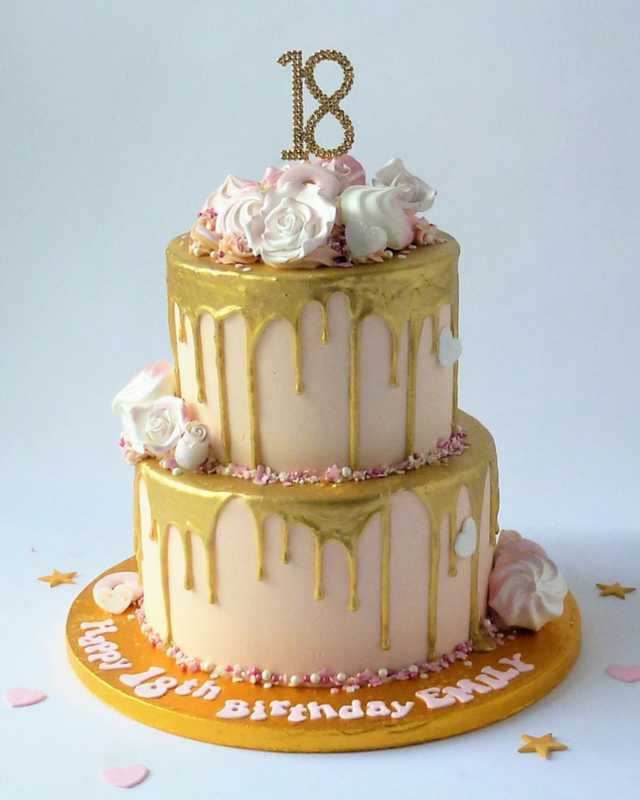 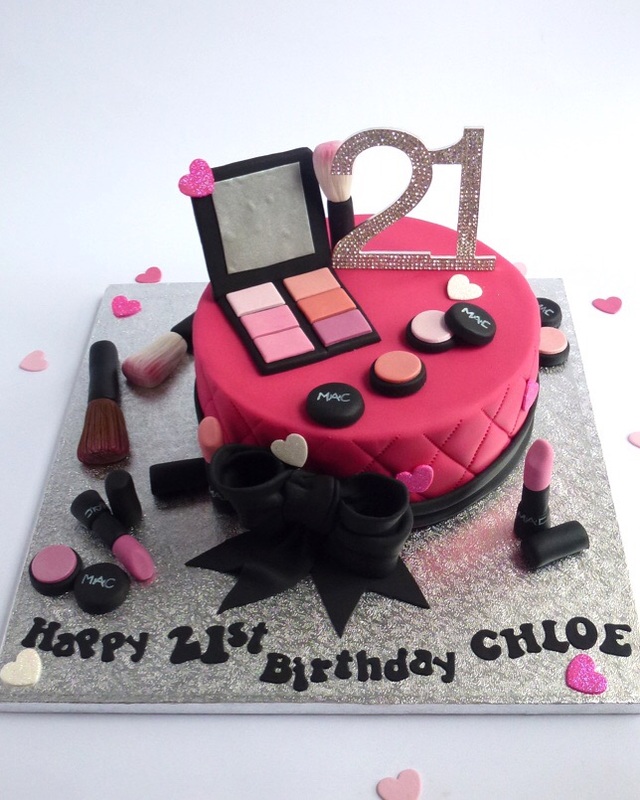 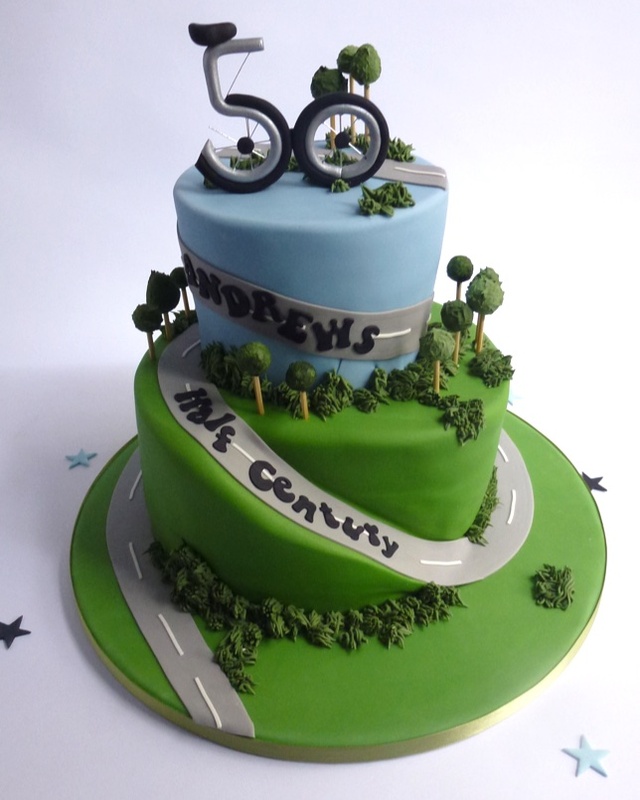 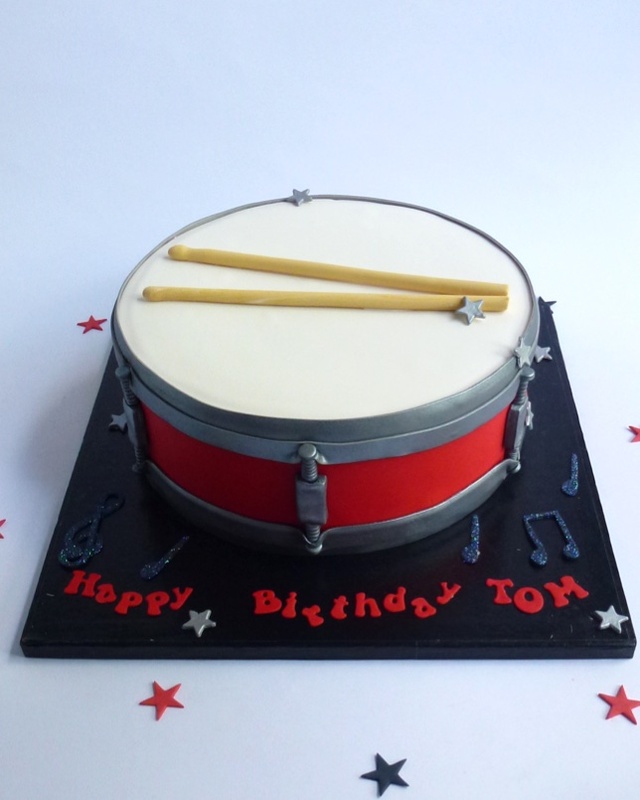 Our parcel cakes are always popular with our exploding parcel cake being one of the most adaptable designs we make! 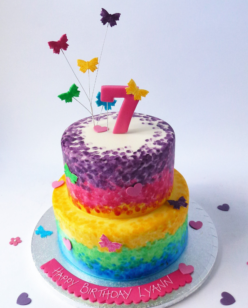 It comes in a multitude of colour schemes, with and without glitter, it can be decorated with stars, hearts, butterflies, teddies and even shoes! 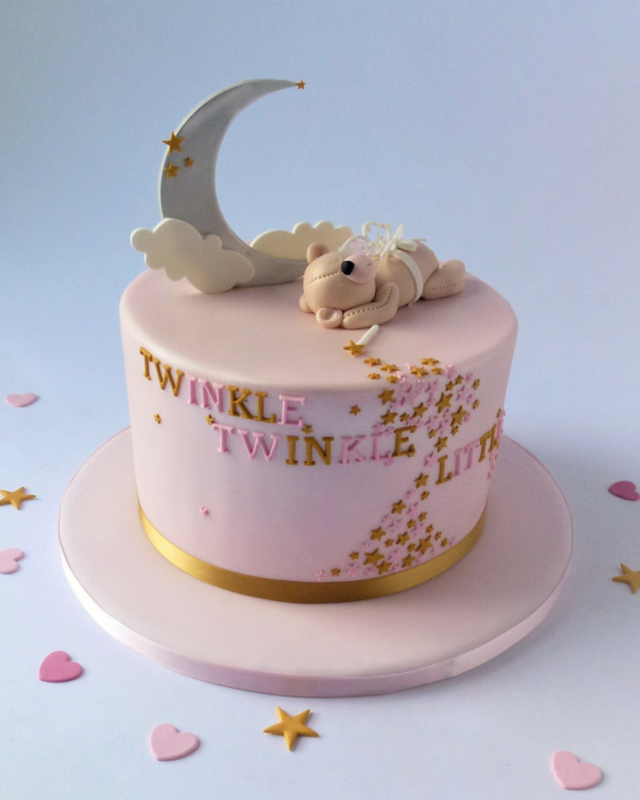 We can add edible logo’s of a favourite team or labels for the fashionista’s amongst us, for babies we add handmade sugar teddies, elephants or dogs, the list goes on, that is why we have given this design a section all to itself! 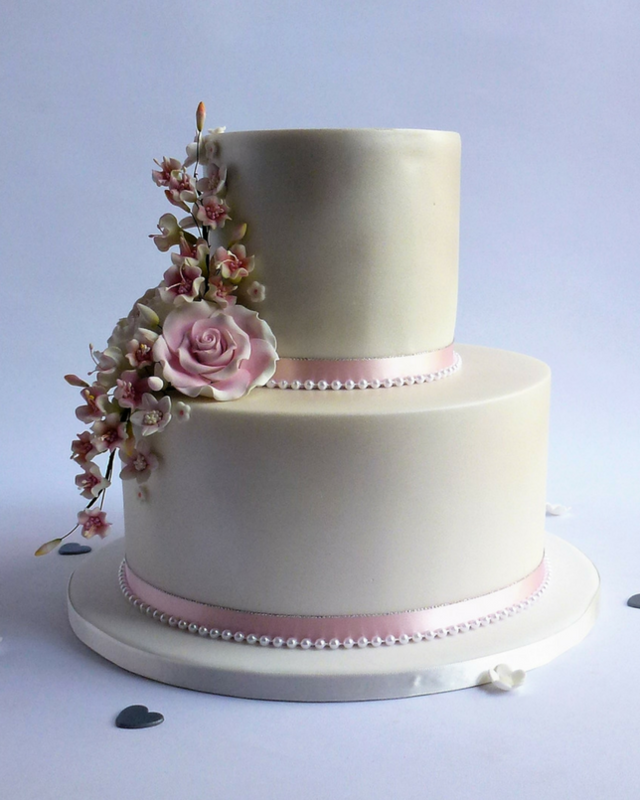 Parcels come as a single tier or a 2 tier, and are available in all 3 of our cake flavours, Vanilla Genoise, Belgian Chocolate Cake* or Rich Fruit cake and for 2 tier cakes, in a combination to suit your personal requirements.